John Preiditsch, Founder and President Emails were sent and compliments were exchanged. The headquarters of Six S Partners was abuzz with employees jubilating over their company being selected as the Global Partner of Year by Epicor—twice in a row. For a company to stay distinctive among a horde of partners on a global scale, year after year, it stands to reason that Six S Partners’ unique approach is hard to duplicate. “As a company, our strategy is focused on best practices, especially educating our customers in the best way to take advantage of Epicor software,” evinces John Preiditsch, Founder and President, Six S Partners. “Our differentiator? We partner with our customers at a deeper level and help them create their own best practices so that they are armed and braced in the highly competitive market place.” Six S Partners is a certified Epicor ERP reseller that provides support, implementation, and customization services around Epicor’s software stack. The teams encompass a broad spectrum of practice experts, including manufacturing, finance, and other operational functions and its consultation for the best part revolve around manufacturing environments. Preiditsch elaborates, “The term manufacturing is often times constricted to a high-volume repetitive production, however, the adoption of alternate and more advanced engineered paradigms are on the rise now.” Modern-day shop-floors have a combination of repetitive, engineered-to-order, or Configure-to-Order (CTO) environments. In addition to this, most firms have field service, where they provide support for manufactured equipment. It was during one such client briefing sessions that Preiditsch visited the sprawling manufacturing facility of Athletica Sport Systems, a Canadian firm that specializes in engineering, production, and installation hockey boards for the NHL and indoor sports arenas. With many point-solutions governing each segment of the ERP value chain such as transactions, order-fulfillment, and product engineering, Athletica was doing just fine with spreadsheets and other homegrown applications. However, the business scaled up. With the company becoming the official equipment supplier for the National Hockey League (NHL), universities, and private owners, Athletica’s legacy systems were threatening to give up on reliance, consistency, and sustainability. It was Six S Partners’ proficiency in Epicor ERP and established leadership as a customer-centric value-added reseller that caught the attention of Athletica’s management. Well-versed in best practices for developing and executing tailor-stitched ERP implementations, Six S Partners equipped Athletica with tactical and strategic knowledge and tools to help drive the organization forward. "We use Epicor ERP on all our projects to give us company-wide visibility of customer project and status"
Interestingly though, Preiditsch says that the best success story to illustrate Epicor ERP’s prowess is their own. “We use Epicor ERP on all our projects to give us company-wide visibility of customer project and status,”he adds. 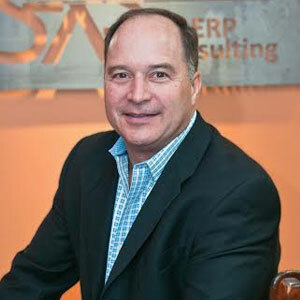 “It allows us to schedule and optimize the capacity of services and ensure we document cases and requirements as they come in and deliver strong customer service.” This enables Six S Partners’ teams who constantly work hand-in-glove with Epicor ERP to explore new-fangled techniques and unique features and bring them to the table that eventually enhances user experience.